A man is due in court later this week accused of breaking into three shops in Doncaster town centre. The 21-year-old is charged with three burglaries, one attempted burglary, going equipped to burgle, possessing a Class A drug and failing to provide a sample for a drug test while in custody. 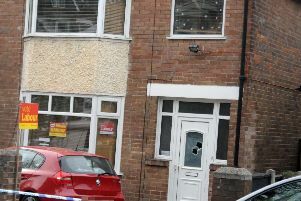 A designer shoe shop and a charity shop were among the premises he is alleged to have targeted. He has been remanded in custody pending a court appearance on Thursday.